The annual Ducati MotoGP and Ferrari F1 joint launch event ‘Wrooom’ kicks off on Monday in the chills of traditional location of Italian ski resort Madonna di Campiglio. Traditionally, this is the event which would see the first press conference of the year for both riders and Ducati management and the unveiling of the new Desmosedici. Tuesday morning will see the official Ducati riders press conference, with Nicky Hayden and Andrea Dovizioso however in the afternoon on Tuesday, Hayden & Dovizioso will be joined by Andrea Iannone and Ben Spies, of the Pramac Ducati team – promoted to Ducati Jnr team for 2013. On Wednesday after the Ducati management press conference where new Ducati big wig Bernhard Gobmeier will speak about the post-Rossi GP era for the first time and for the first time ever, Ducati will reveal all four machines – leading to further speculation of how similar the Pramac Ducati colours will be to the factory bikes, we expect very. The Ducati riders will be accompanied at the ski resort by Ferrari’s Fernando Alonso and Felipe Massa for the traditional ice karting race on the Friday. 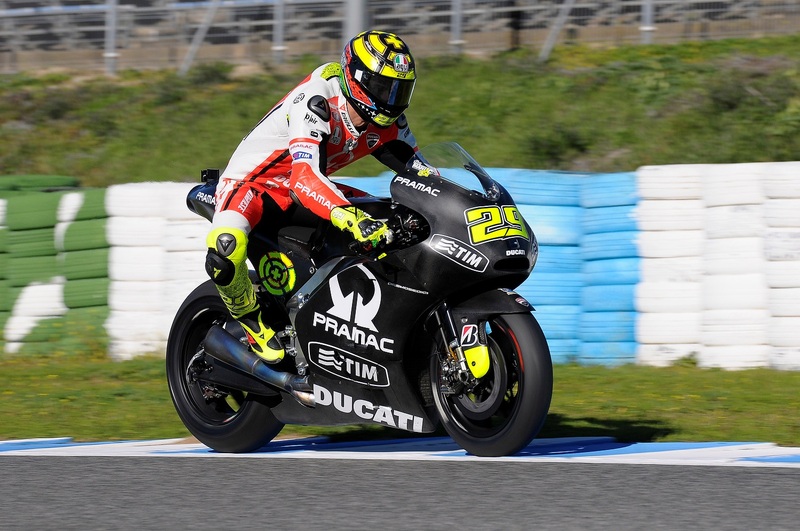 Pramac’s first ever invitation to Wrooom gives a further example of Ducati’s serious intentions for improvement in MotoGP. Ben Spies has recently said that the Pramac team will be running identical specification bikes to the factory squad, with the bikes expected to bear similar livery as well – all will be revealed, this week at Wrooom – keep up to date at PaddockChatter.com!